In today’s connected society, posting about a general—or even a special—election vote may feel just as much as part of the voting process as the voting itself. But sharing too much about your vote can potentially get you in trouble as parts of the country have strict rules regarding publishing voting information before the polling stations have closed. The reasoning behind these rules is to keep big publishers such as newspapers from influencing people’s votes while the election is still ongoing. Social media has turned the average person into a publisher, however, and even individuals need to be careful about what is posted online on polling day. Some critics of these laws prohibiting poll station photos or videos argue they restrict participation in the political process. A small handful of states, including Nevada, have issues with voters posting their election choices on social media. Photos from the voting poll, commonly referred to as “ballot selfies,” are basically illegal in a majority of the states in America. Some states that do allow these photos include Wyoming and North Dakota, among a small number of others. Under Nevada law, a member of the general public cannot take a picture of the act of voting at a polling place or record the act of voting on audiotape or by any other means of sound or video reproduction. What is more, violating the secrecy of a voter’s ballot through a photo is prohibited. In other words, ballot photos are banned (selfies or not) as are polling place photos. Election fraud and vote-buying are serious and legitimate concerns, and states across the nation have every right to address them through law. States do, however, have other ways of targeting election fraud, including vigorous prosecution and investigation. There have been lawsuits filed by and on behalf of both those who agree with and those who oppose election day photos at polling stations. It is unusual to ban political speech, even if it is in the form of sharing photos or videos of voting at the polling place, without violating the First Amendment. With photos at polling place,s two areas of the law collide head on—freedom of speech and the integrity of our country’s voting process. When it comes to photography, it is strongly recommended that you do not take any photos or video footage inside of a polling station. It is also not advisable to take a photo of your actual ballot. Doing pictures outside a polling station, however, seems to be perfectly fine. If you have any questions about your voting rights, your obligations under Nevada’s voting laws, or any other law-related question, contact a skilled Nevada attorney. 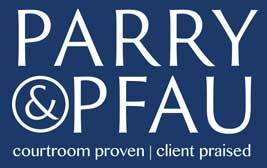 The knowledgeable lawyers at Parry & Pfau can answer your legal questions and have represented clients across the state of Nevada. Newer PostIs it Legal to Collect Rainwater?